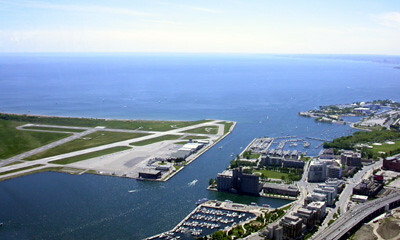 The CN Tower tops the list of major Toronto tourist attractions. This famous landmark defines the Toronto skyline. But is it worth the lofty fee to go up and look out? A local point of view. The Tower is not just one of the biggest Toronto tourist attractions; it also rates as one of Canada’s most photographed buildings – possibly THE most photographed, after the Parliament Buildings. Go to www.flickr.com, and you’ll find that people have posted more than 94,000 photos of the the tower, at last check. What is about this place that makes it so appealing to shutterbugs? Well for one thing, it’s hard to miss. No matter where you are in Toronto, it seems to be there in the background. (Whether you're aiming for it or not, it's bound to show up in your photos.) Like the Mountain in Montreal, it’s a handy landmark too, if you get lost (“Were we walking toward the tower or away from it?). From the water, it dominates and defines the skyline. It’s what makes Toronto’s skyline Toronto. I even came across an article online recently asking what would happen if the CN Tower disappeared, and the photo-shopped pictures showed not only what a huge gap it would leave, but how hard it would for many people (especially out-of-towners) to identify the skyline as Toronto without that easy marker. But just because the CN Tower Toronto is so tall (how tall is it anyway? ), does that mean it’s worth paying the lofty fee to go up and look out? Is the view really that awesome? And what do you see if you go up, anyway? First things first: how tall is it? However, the CN Tower can still claim the title of world’s tallest TOWER. And it’s still considered an engineering marvel, especially for the time it was built. In 1995 the American Society of Civil engineers declared it one of the Modern Seven Wonders of the World. The CN Tower opened in 1976, the year of the Montreal Summer Olympics (hmmm…could that have had something to do with? Montreal and Toronto have always been rivals). The tower was built for practical reasons to solve a technical problem: to provide clear radio and television signals to residents of a rapidly-growing city. The tower would allow signals to pass over the forest of skyscrapers that was rising up in the downtown area. The original plans didn’t call for any observation deck, but soon enough someone got the bright idea to turn it into a tourist attraction and make money off it, which has paid off handsomely. With about 2 million visitors a year going up it every year, the federal crown corporation pulls in a nice revenue. On a clear day (and if you have perfect vision), you can see up to 100 miles away. On a cloudy, rainy day you’ll see nothing, so save your money and wait. My favourite parts of looking down at the city from this height are twofold: one, the waterfront, which looks particularly stunning right at sunset, and two, the highways snaking off into the distance, all lit up at night like ropes of diamonds. What a different perspective you get from the tower than you do when you’re sitting trapped in a car on the expressway! To make the most of your trip up the CN Tower, most people recommend going just before sunset, so you get to enjoy the day view, the nightview, and those magical precious moments of dusk. If you’re not squeamish about heights, you can stand on the glass floor and look down to the ground. It's a little creepy. In 2011 they also added the CN Tower Edgewalk. For a hefty fee ($175) you can walk around the edge at the top of the tower, attached to a safety rail via a harness system. For daredevils only!! The basic to go up the tower is more than twenty dollars for adults(check web site http://www.cntower.ca for CURRENT pricing). This sounds expensive to me, but I checked and it's in line with other lookouts like New York’s Top of the Rock at the Rockefeller Centre, the Empire State building and Paris’ Eiffel Tower. However, it’s about double what you’d pay at two other Canadian towers, Niagara Falls’ Skylon and the Calgary Tower. The basic fee is to visit the Lookout and Glass Floor. There’s an additional fee to go up to the SkyPod, and even more to see the movie or take the Motion Theatre Ride. One way to justify the expense is to consider lunch or dinner at the 360 Restaurant. If you order a meal, your trip up the elevator is included, and it’s so much more pleasant to enjoy the view as you revolve around 360 degrees at a slow, relaxing pace than it is to join the crowds standing (and jumping) on the lookout level (although you're free to do that too, after dinner). I've dined here once and although I only found the food "ok" (especially for the price), it was a pleasant experience and worth doing at least once. Note: wine-lovers will adore the fancy-schmancy award-winning wine cellar with its massive selection of over 550 international and Canadian wines. WANT TO SAVE MONEY? You could save substantially if you're visiting several Toronto tourist attractions if you buy the Toronto City Pass. If you want to try a Tower restaurant, you'll be happy to learn that you have more than one choice. The Tower is home to three restaurants: 360 Restaurant, Horizons and the Far Coast Café. Horizons and the Far Coast are casual. 360 Restaurant, however, is considered fine dining. On the main floor there’s a gift shop with a lot of touristy stuff but some finer Canadian artwork and craft as well, including some Inuit sculpture and wall hangings (walk around the whole floor so you won’t miss it). Every year, over 15,000 people climb the 1,776 steps of the CN Tower’s main stairwell to raise money for the World Wildlife Fund and the United Way. The Tower is a major Toronto employer. Approximately 400 regular staff work here, with about 550 in peak tourist season. You’ll find information about current prices, hours etc on their website, http://www.cntower.ca.